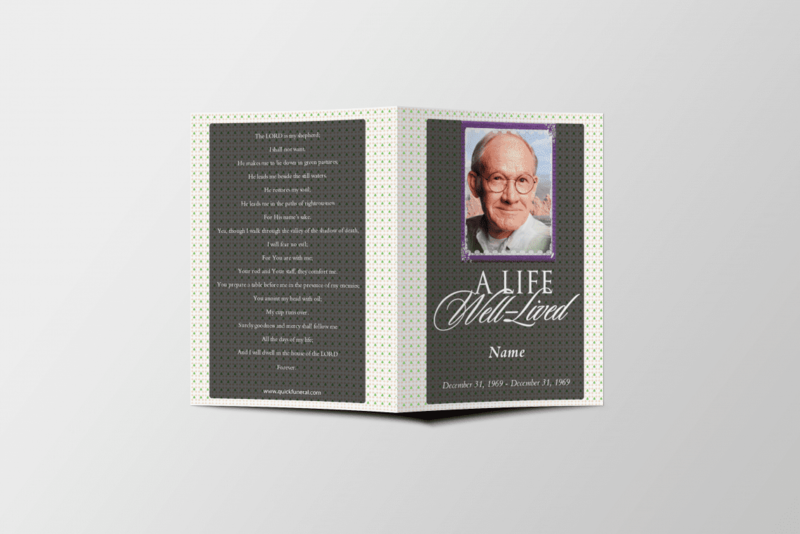 A beautiful 8.5 x 5.5 Funeral Program template called “Green Floral Funeral Template”. 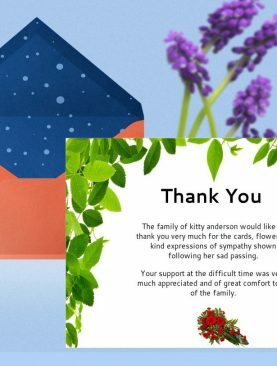 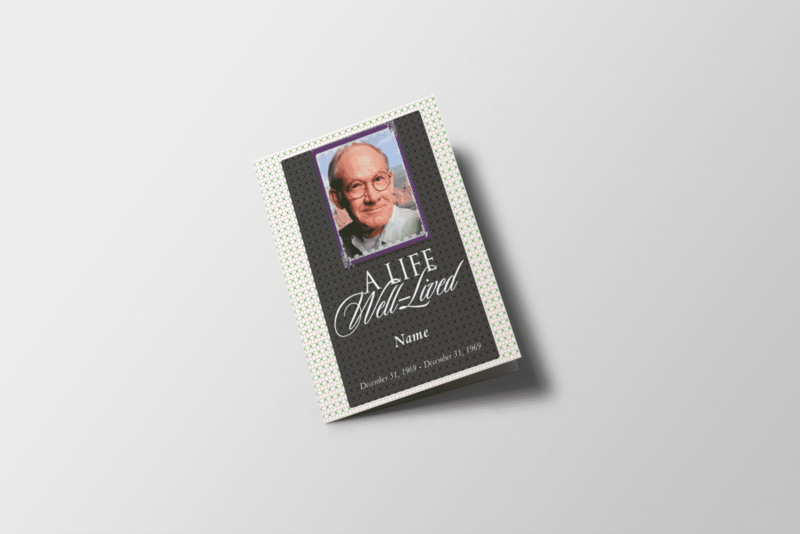 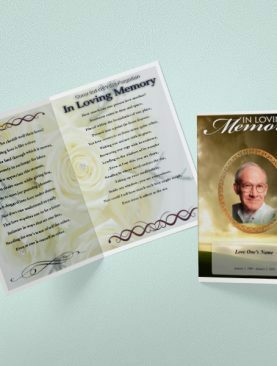 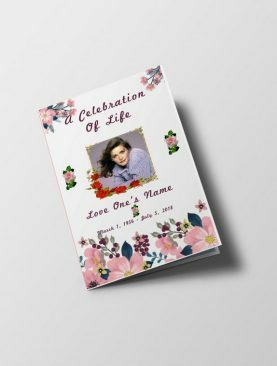 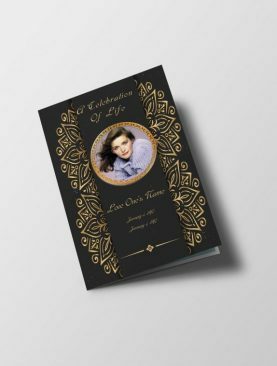 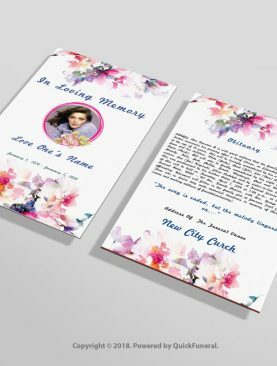 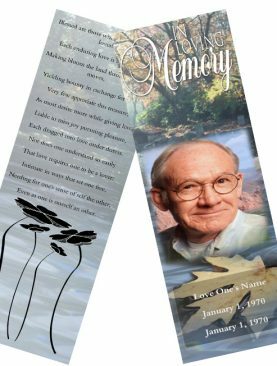 This bi-fold Green Floral Funeral Template contains beautiful green flower background on covers and white lily background inside pages, which gives an appealing look to printable bifold funeral program. 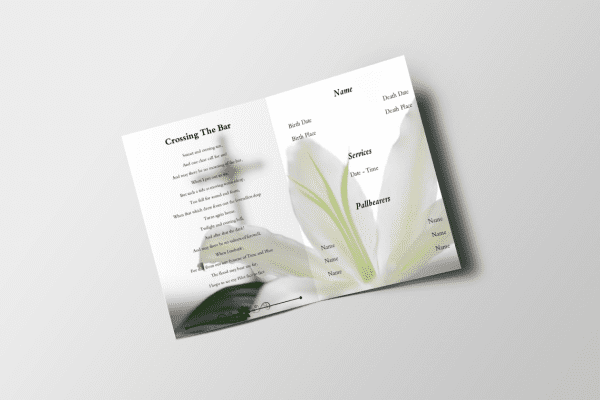 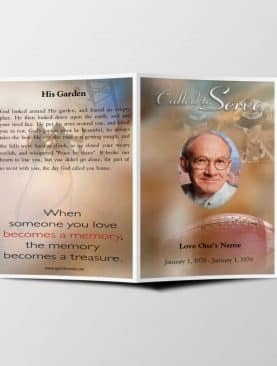 This Green Floral Funeral Template contains 1 folds with 4 editable and printable sides where you can add your own content such as order of service details and other funeral service details.